Welcome to Pla de l'Estany, a young county (created in 1988) with just eleven municipalities but packed with great attractions. 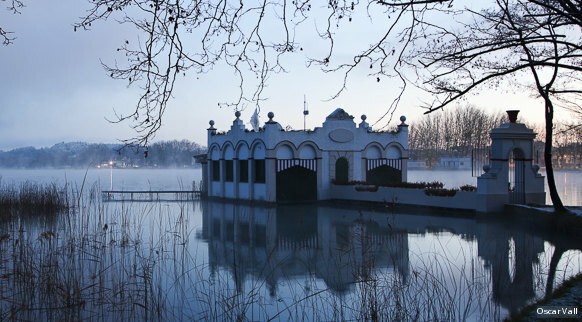 Its unique character is largely due to Banyoles lake, a natural treasure full of life, where mallards, grey herons, gulls and many other birds coexist. This is a wonderful area for walks and the lake itself is ideal for all sorts of activities, such rowing, fishing and swimming. The county certainly has plenty to enchant visitors: little known beauty spots, such as Les Estunes; a rich historical legacy in the form of the prehistoric caves of Serinyà or the Draga Neolithic Park (Banyoles); picturesque towns such as Porqueres, Sant Miquel de Campmajor or Crespià; and a wealth of popular culture, with festivals, fairs and gastronomic events, along with unique traditions such as the Ball del Cornut (Cuckold's Dance) in Cornellà del Terri.